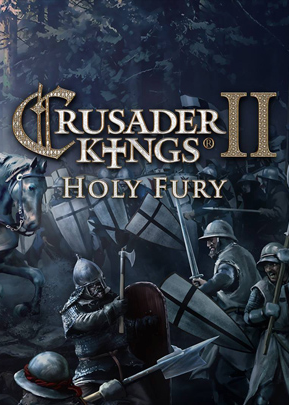 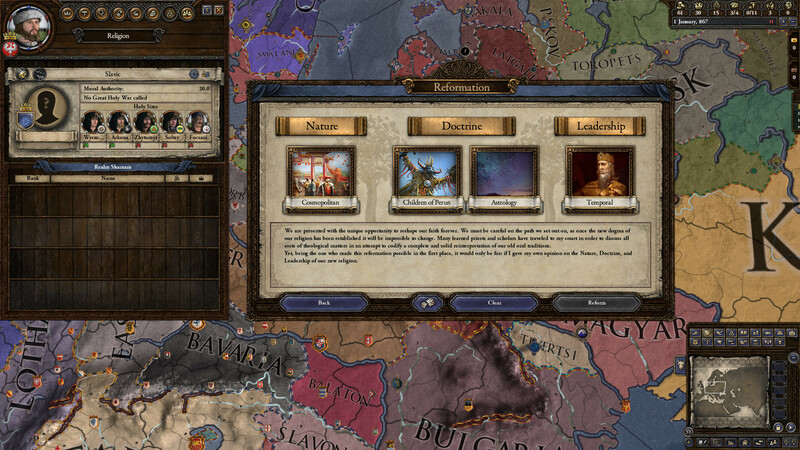 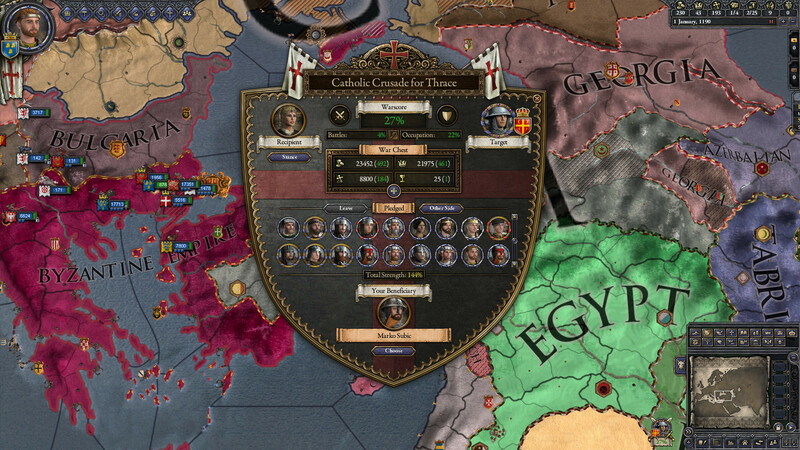 The addendum requires the basic version of Crusader Kings II. 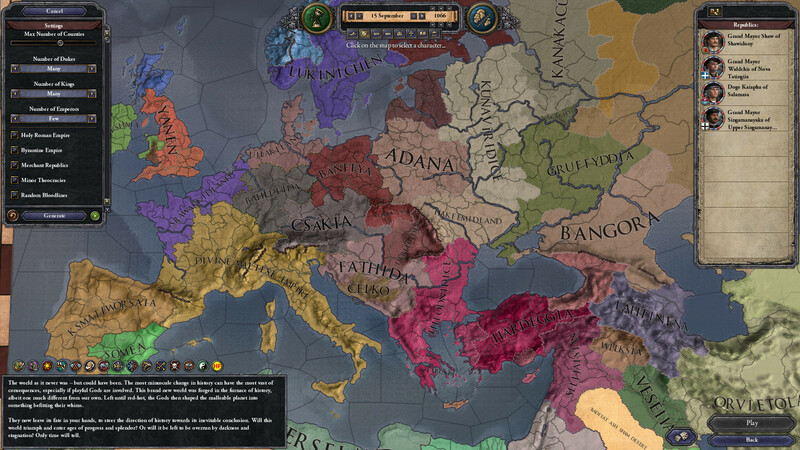 Shattered and Random Worlds:Start your game on a fictional map of Europe as a small realm fighting for space, or on a random map with historical analogues for the great kingdoms of yore. 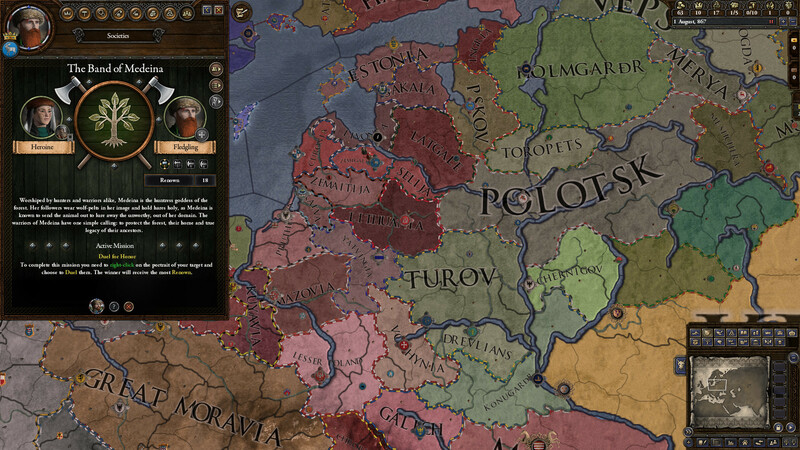 Warrior Lodges:Join a Pagan warrior lodge and raid your way up the ranks, unlocking access to powerful allies and greater military skill. 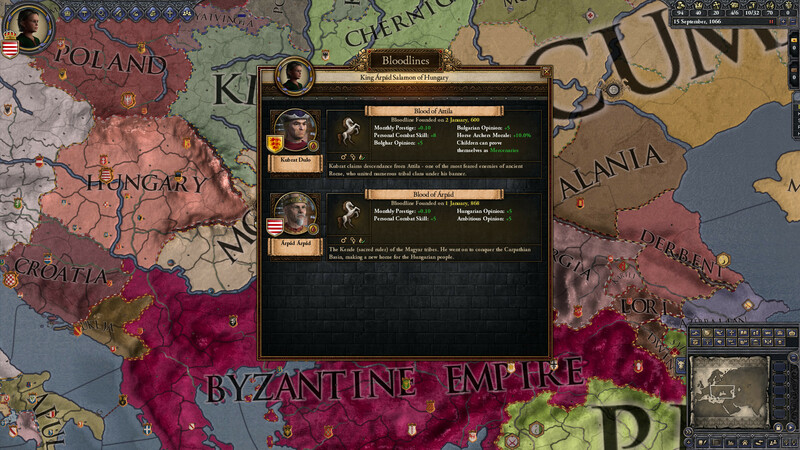 Legendary Bloodlines:Descendants of great warrior heroes will have bonuses that match the accomplishments of their forefathers, including historical bloodlines of Charlemagne, Genghis Khan and others..